We Say Hello to Dear Friends | Sprezzatura, Y'all! Our dear friends, Tim and Julie, have arrived for a visit. 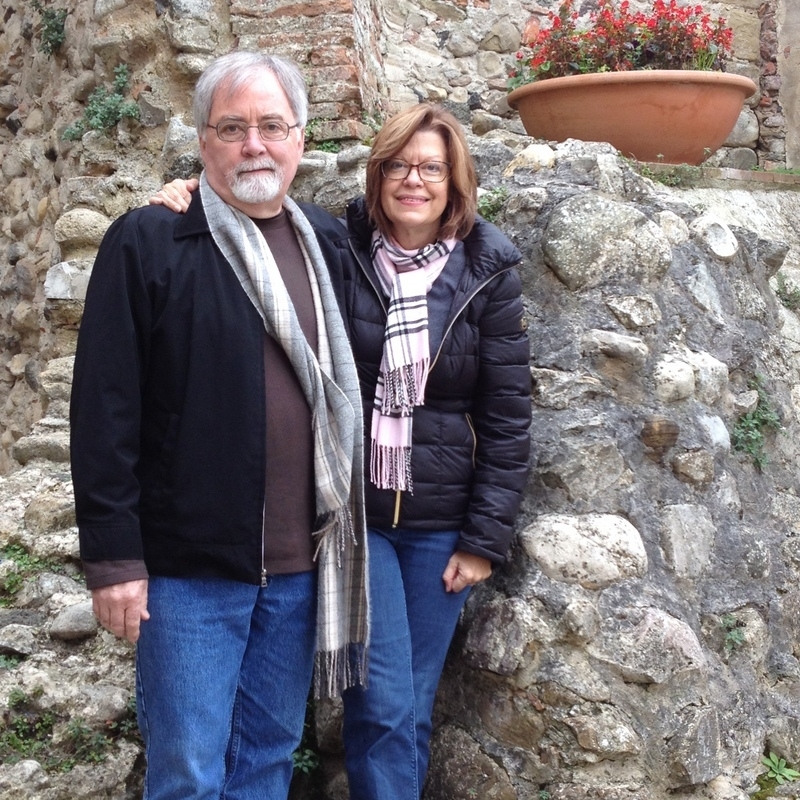 We’ve traveled to Italy many times over the years with Tim and Julie and always think of them whenever we see anything new or have a wonderful experience (which is quite often). We share the same world view and find joy in the same things. We’re very compatible, not only as friends, but as travel companions. So we have really been looking forward to their (brief!) visit. They have only been here one full day and in that time we have managed to eat some pretty darn good meals. Their first, jet-lagged night we ate at the restaurant downstairs from us, Cantina Gran Duca. It’s easy and it’s always good. The next day we drove to Sansepolcro and had lunch at da Ventura, then spent the afternoon walking around the abandoned town until the siesta was over. About 4:00 or so, the whole town woke up and it took on a completely different character. Stores opened, people chatted on the streets – very nice. But back to lunch. Tim had the meat extravaganza and it was quite something. A meat trolley came to the table and sliced off healthy samples of three different meats – pork, beef, and veal. With it came sides of white beans, broccoli, and endive. All for 12 euro. You just have to love this country. Since we were sufficiently full from lunch, we had an easy dinner at home of salumi, prosciutto, cheeses, jams, and bread. And sagrantino wine. 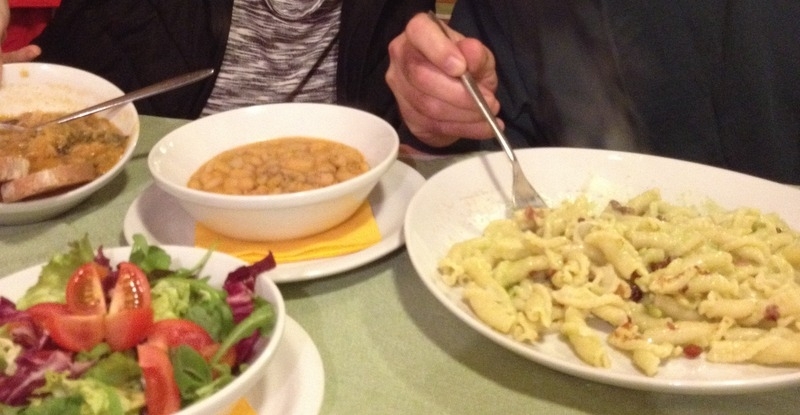 It was divine and the perfect way to end their first full day in Italy. Julie and I planned our Thanksgiving meal, which will be an upcoming blog post. Turns out we’re cooking Thanksgiving dinner for 12! Should be quite an experience as we try to duplicate our traditional dishes in this country. Today we’re off on an adventure in Umbria. Welcome, Tim and Julie! We’re so glad you’re here.